Cost, quality of experience and smooth operation benefit by factoring extended codecs support, specific device optimization and network QoS. Content preparation supporting VP9 codec, in addition to LightFlow current solution for H.264 and H.265. Thanks to this you can optimize each unique playback in any device with the most efficient version of your video assets using an intelligent multi-codec approach. Smart bitrate management based on device, screen size, and watching distance. LightFlow is able to learn from your users’ habits and context, and apply optimizations accordingly. Now LightFlow is able to apply optimizations considering the network conditions of your users base. Ensure your videos are always prepared to maximize quality of experience of your users while being cost effective. We start with this video a series on Machine Learning for Media and Broadcast environments. In this first chapter we explain what Machine Learning is and what it is not. We also explain some media applications and the basic things needed to work with this technology. Epic Labs will be present at IBC 2017 responding to the software engineering, innovation and digital transformation challenges in Broadcast and Media. 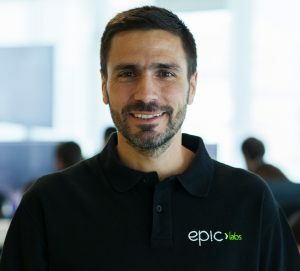 The great talent of Epic Labs Engineering Team is being recognized by many Broadcast and Media companies from the USA, Japan, Singapore, Switzerland or Spain. The Media industry is facing an unprecedent transition as dedicated hardware is gradually being abandoned in favor to cloud and software-based architectures. There is also an evolution on the business models and content delivery experiences. In this continuous changing scenario is mandatory to partner with knowledge-centric companies to drive innovation processes. Epic Labs services are comprised by a premium Engineering Team coming from companies like Akamai, Dell EMC, NEC, or Pivotal. This knowledge and capacity, combined with innovative agile methodologies and culture are helping Media companies optimize the current operations, create new digital products, cloud, virtualization and IP-based broadcast solutions, innovative experiences and enhanced monetization models. 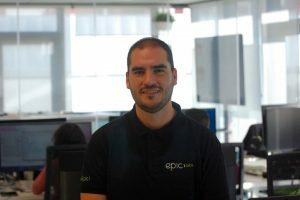 Diego García, Epic Sales: “Every day we see how the IT areas of traditional broadcast are ganining relevance and visibility. If we look further the presence of IT-folks inside the broadcast companies technical departments will be massive. We are finding great opportunities to partner with Media and Broadcasting companies to successfully merge these two worlds”. Epic Labs has recently joined the DASH Industry Forum and will deploy a Team of people at IBC, where the company wants to leverage it´s own value proposition, and also increase customers and partners. 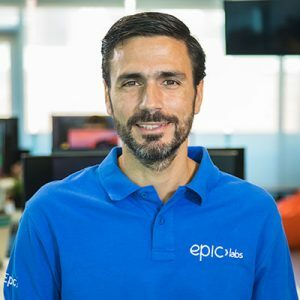 Alfonso Peletier, Epic Labs Founder & CEO: ”We are excited to attend this new IBC where we look to meet customers and partners to share market insights, trends and experiences. Also, an exceptional chance to seek for additional opportunities to further partner and share insight on Epic Labs areas of research for Media on real-time video, machine learning or blockchain”.